Stanford University is nearing completion of a great new resource: putting their collection of OSS maps online. Julie Sweetkind-Singer (Assistant Director of Geospatial and Cartographic Services, Branner Earth Sciences Library) notes that Stanford has about 700 maps. It’s not definitively known how many maps were made by the OSS Map Division (headed by Arthur Robinson), but she cites an estimate of at least 5,752. @JeremyCrampton looks like we have about 1326 OSS maps. It would be great if AGSL were to link through to the Stanford project on their own digital collection site. I suspect the latter has the largest collection of OSS maps outside NARA . NARA states that it has about 7,500 OSS maps (p.24 of this document), but an item-level listing has not yet been made public, although I understand the number Julie quotes above (5,752) is based on such a list by a map librarian colleague. The OSS also produced about 200 written reports which often contain maps. These are early examples of intelligence briefings and were written by members of the Research and Analysis (R&A) branch of the OSS. A searchable listing is available here. The Stanford maps are available here. An interesting if rather crude animated map sequence I’ve made of the position of the European Front during world War II, from August 7 1944, to May 15 1945. This was made from 41 separate maps in the archives of the American Geographical Society Library (AGSL). 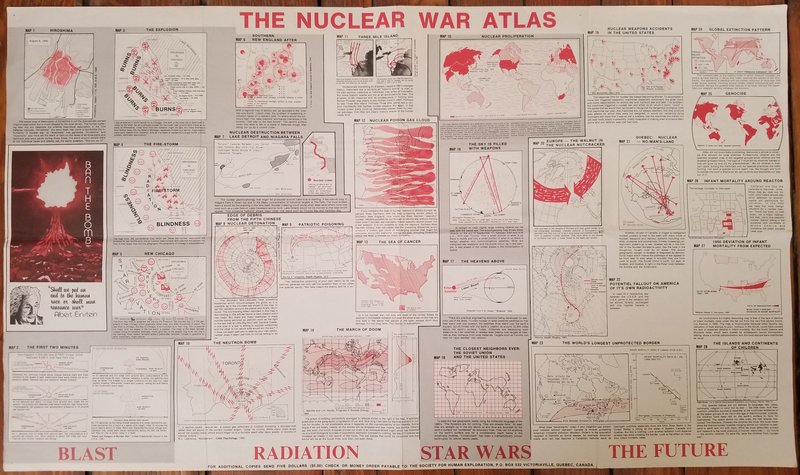 Formerly classified RESTRICTED, these maps were made by the Research and Analysis Branch of the OSS, elements of which were later transferred to the Department of State and became the Bureau of Intelligence and Research (INR), although many members returned to their academic posts following the war. Update: Aug 9, 2018. The American Geographical Society Library (AGSL) in Milwaukee have now scanned the map in high-resolution (both front and back). Many thanks to AGSL and Susan Peschel for making it happen! Link is here. Bill Bunge, 2008 AAG (Boston). Source. just one week too late for the great United Nations demonstration in New York City. The first edition of the atlas was designed for field use among the unemployed of Detroit’s black slum ghetto (who hold my loyalty but who were vulnerable to the false slogan ‘war means work’ when today it clearly means death), but my work proved far too technical. So I surrendered to the fact that the market for the atlas, the potential readership, would be intellectuals, and put in the earlier and continuing abstract work mentioned, especially in chapter 2. 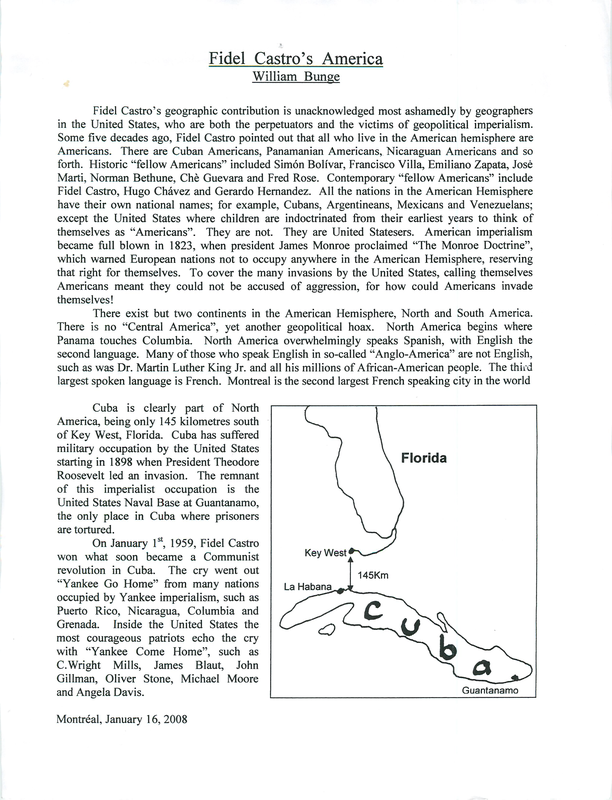 The original edition was in the tradition of Lobeck’s Physiographic Diagram of North America, with 20,000 words of text on one side and 28 maps on the other, suitable for poster display upon completion of reading it. The 20 in. X 34 in. poster folded into a 5 in. X 8 in. size designed for peace demonstrations, where it was abundantly sold. Selling the atlas was an excuse to talk peace during the summers of 1982 and 1983, talking to thousands of people door-to-door, often at great length, especially in Toronto, retaught me Detroit’s lesson that people needed, as as a dire warning, hope and a more articulated plan for saving the children. This vastly changed the tone of the atlas, especially the ending and, with the abstract work, doubled its size. 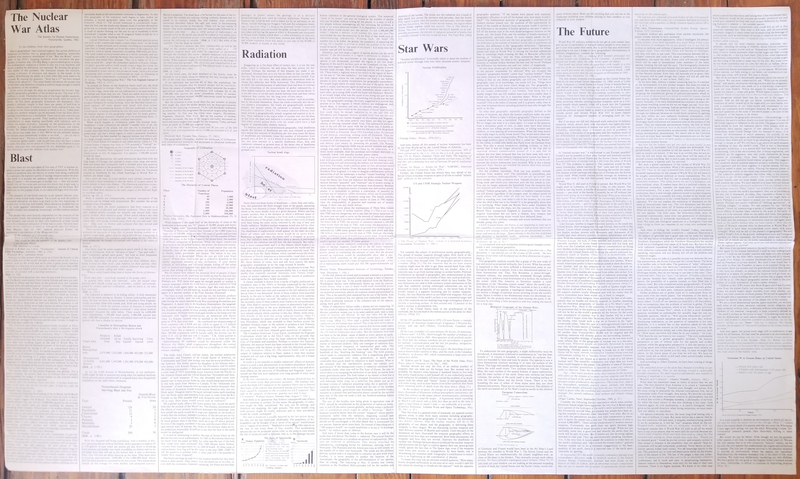 Bunge, Nuclear War Atlas (Blackwell) 1988, pp. xxi–xxii. The poster atlas is now very hard to obtain. I got my copy I got in the 1990s in grad school, and unfortunately it does not appear in full form online, to the best of my knowledge. Ideally it would be scanned and uploaded, but in the meantime here is my best attempt to capture it in a photograph (4032 X 3024, cropped slightly). Hopefully, it will encourage a proper high-resolution scan. Click for full-res version. Manifold technological developments – from AI to cloud computing – are rapidly changing the landscape of the digital. Complementing the RGS-IBG’s conference theme (Geographical landscapes/changing landscapes of geography), these workshops invite participants to investigate the effects of machine vision on a variety of phenomena: the form of urban life, the experience of driving, the dynamics of war, and the nature of gaming. The workshops aim to provisionally address a number of questions regarding machine vision, and its effect on the ability to ‘navigate’ (literally, metaphorically, conceptually, methodologically) new data landscapes. To what extent does machine vision alter our perception of the world? How might its proliferation affect everyday interactions? And, finally, what new concepts, methods or vocabularies might be needed to comprehend such vision? Session 1: A screening and discussion of Liam Young’s film Renderlands (2017), which follows a group of local animators through the office environments where they work, the digital landscapes they produce, and the cities in which they live. Session 2: An interactive exploration of the digital landscapes of virtual reality, video games, and driving simulations. Further details and to register here. Dr. Kate Derickson (University of Minnesota) will be visiting us here at University of Kentucky for the GGSU Distinguished Speaker lecture. The Digital Geographies Working Group (DGWG) Symposium will be themed “Justice and the Digital” and will take place on Friday, July 6 at the University of Sheffield. There will be panels, digital shorts, debates, and time to network. More information will be provided shortly! See the webpage for more details, and last year’s Symposium.